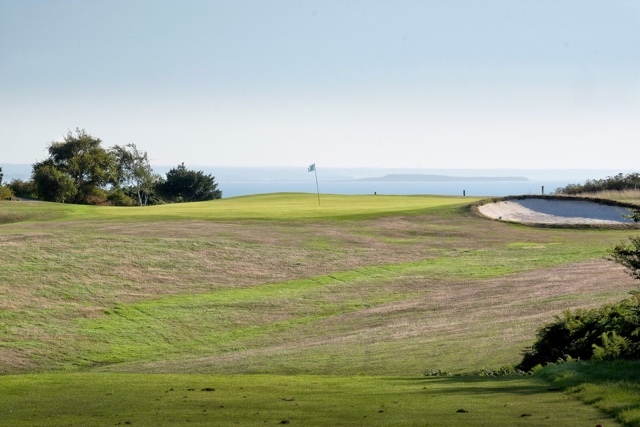 When you play the Isle of Purbeck Golf Club in Dorset, you’ll enjoy a wonderfully traditional course set in an area of outstanding natural beauty, golf the way it was meant to be played! 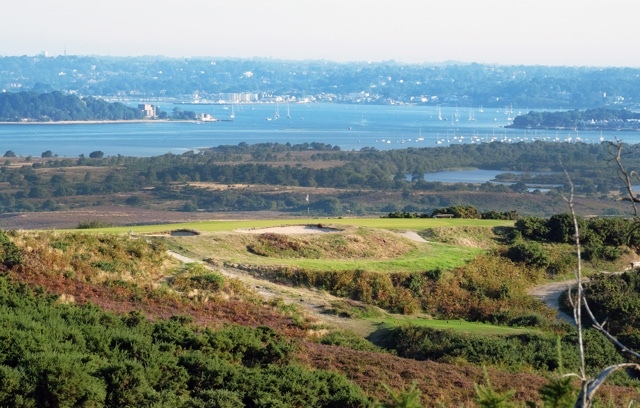 The first thing that strikes the visitor to the Isle of Purbeck Golf Club is the spectacular views, looking out over Poole Harbour, Brownsea Island, Bournemouth and the Solent. The Club was founded in 1892 and set within a Nature Reserve, designated a Site of Special Scientific Interest (SSSI). As a result of this, the club works closely with English Nature to maintain and preserve this wonderful environment. One quarter of the world’s heathland is in Britain and some of the very best is in Purbeck. All six species of reptiles native to Britain though rarely seen, can be found here. Dusk brings out the deer from the woodland and the rare Dartford Warbler can be seen amongst the gorse. During the spring, the gorse is at its best, the late spring brings forth orchids, many quite rare, whilst buzzards are a common feature overhead. 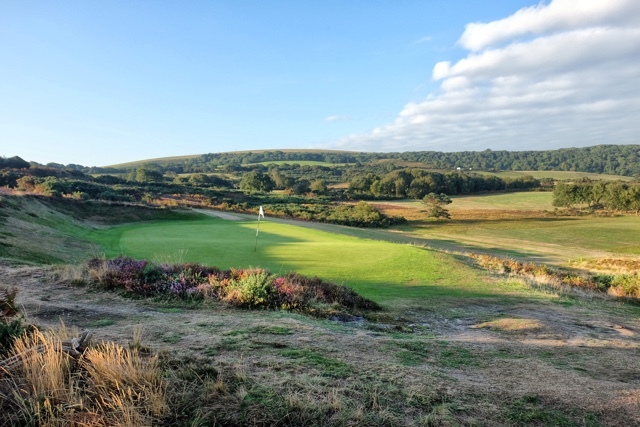 Purbeck is a wonderful test of golf, where each hole exists seemingly independently from all others. Come and enjoy its uniqueness and location. If you want to post a good score, be prepared for a game of strategy, brains over brawn! 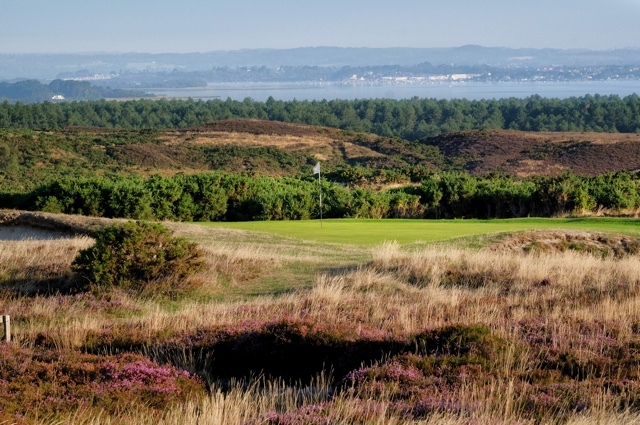 A visit here is a must for all golfers; the beginner golfer is catered for on the 9 hole Dene Course and the Purbeck Championship Course proves an exciting test for even the most accomplished golfer. The club dates back to 1892 and among the past owners, who were responsible for the extension to 27 holes, were Enid Blyton, the legendary writer of children’s books, and her husband, Dr Darrell-Waters. Purbeck Course Photos by Simon Potter Photography.